If you really wish to completely know what these three marvelous cities behold within themselves, then this Grand golden Triangle tour of 6 Nights and 7 days is the one tour you should embark upon. Enjoy these cities with all its grandeur with the help of Travelsite India and enjoy your trip!!. Guided tour to the monuments of Delhi. Explore the forts of Jaipur. Witness the cultural heritage of the “Pink City”. Caparisoned elephant rides to Amer Fort. Check in to the hotel as soon as you arrive to the Delhi Airport. Rest for the day and stay at the hotel for the night. Visit the forts and palaces of the Indian capital like Jama Masjid the Mughal Mosque, The Red Fort, the Qutub Minar and the Humayun’s Tomb. Stay at the hotel for the night. In the morning after the breakfast, leave for Agra. En – route visit the ruins of the city of Fatehpur Sikri and visit the monuments like Jama Masjid, Jal Mahal and Buland Darwaza. As soon as you reach Agra check into the hotel and take some rest. Rest of the day is at leisure; visit the local markets of Agra. Rest at the hotel for the night. This day is dedicated to the exploration of the city of Agra. 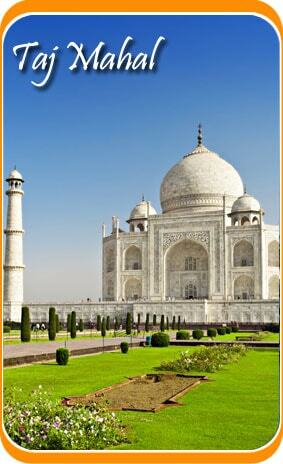 Visit monuments like The Taj Mahal, the Agra Fort and the Tomb of Itmad – Ud – Daula. Retire to the hotel for the night. We leave from Agra to Jaipur the “Pink City” in the morning. As soon as you reach Jaipur check in to the hotel and take some rest. 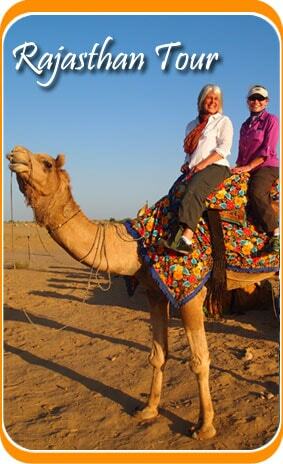 After that, visit the Amer fort on a ride of a caparisoned elephant. Also visit the Jantar Mantar and the City Palace. Also visit the local bazaars o f Jaipur. In the morning after a light breakfast, leave for Delhi. As soon as you reach to Delhi, check in to the hotel escorted by our representative. Visit the local bazaars of Delhi such as the Delhi Haat, the Chandni Chowk and the Spice market famous for its cheap and best materials. Overnight stay at the hotel. The next morning after breakfast, board a flight to your home country. Your “Grand Golden Triangle Tour” ends here.